Proud Members Of ISNetworld, TAPPISAFE and Cognibox. Southern Maintenance Contractor is capable of fabricating equipment, such as debarking drums, conveyors, fabricated parts and machined parts. We offer turnkey pricing for rebuilding equipment and installation of your equipment, contact our winning team. 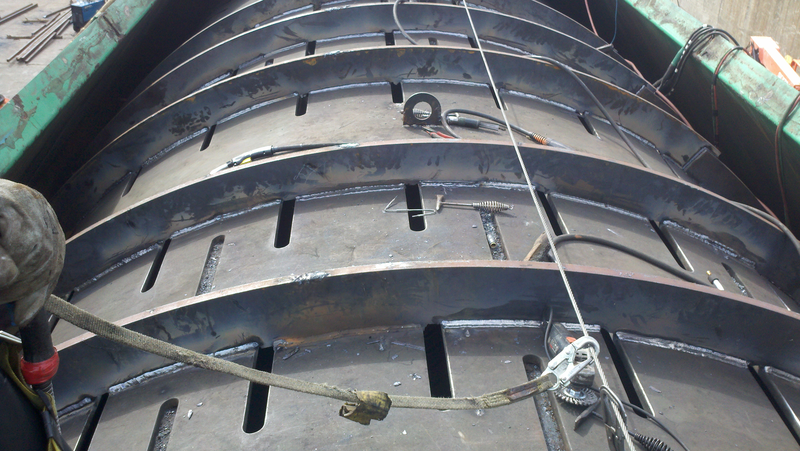 At Southern Maintenance Contractor, we employee a team of experienced welders and millwrights who are able to handle a wide array of projects. Our welders are experts in the facets of welding procedure specifications (WPS) and they are qualified to follow GTAW, SMAW, FCAW and GMAW procedures. It is the policy of this Company to strive for the highest safety standards on our project. Safety does not occur by chance. It is the result of careful attention to all Company operations by those who are directly and indirectly involved. Employees at all levels must work diligently to execute the Company’s policy of maintaining safety and occupational health. Have questions? Call (770) 329-7103 today for your free inspection or submit the form below and we will call you within 24 hours.